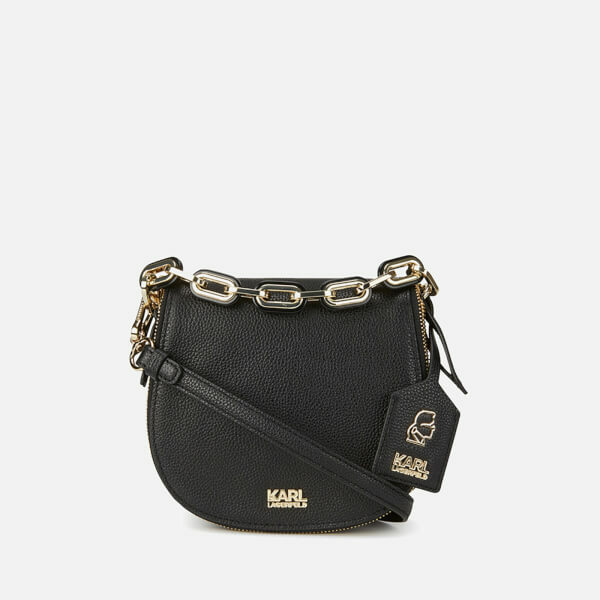 Women’s ‘K/Grainy’ black leather satchel bag with a complementing luggage tag and punctuated with gold-tone hardware from Karl Lagerfeld. 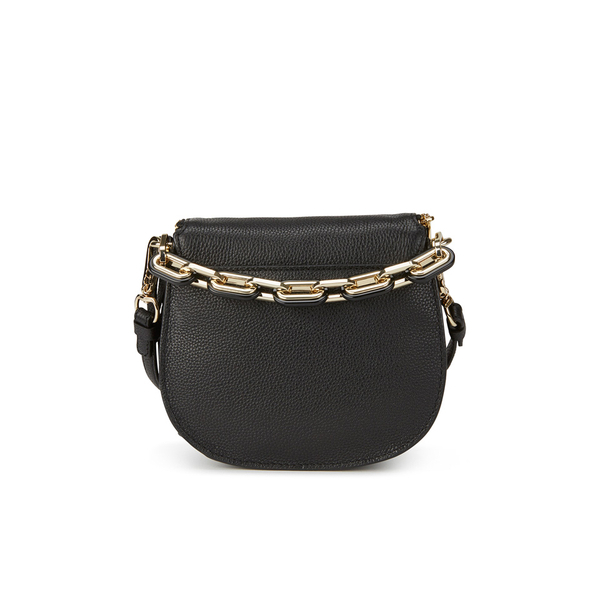 Crafted from premium full-grain leather, the satchel bag comprises a fold-over front secured by a magdot closure, opening to reveal a fully lined interior offering an internal slip pocket. 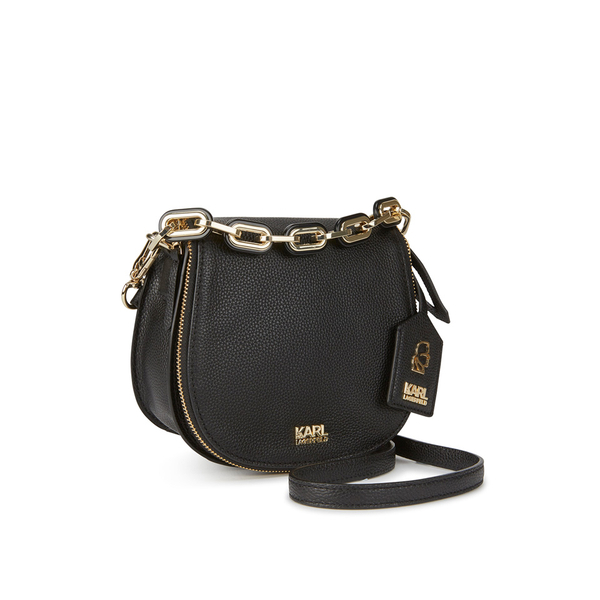 A top grab handle secures to the bag with oversized gold-tone resin chains while a detachable cross-body strap provides versatile carrying options. 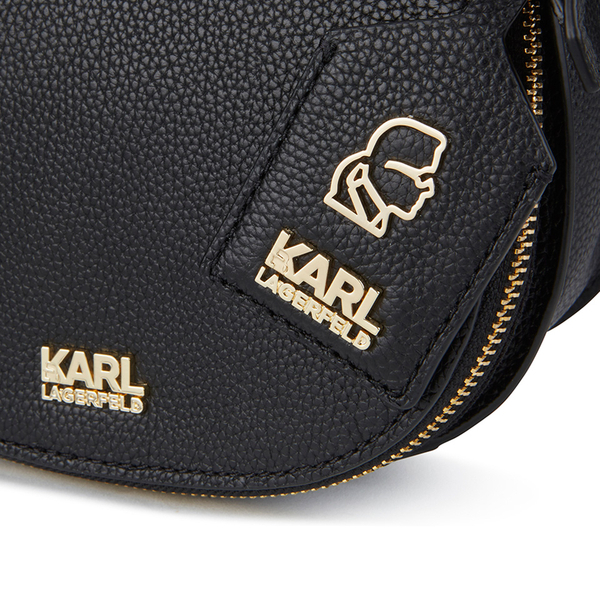 The bag’s fold-over front flap also features a zip-around closure to offer additional storage space, and the ‘K/Grainy’ satchel is complete with gold-tone metallic Karl Lagerfeld lettering and Lagerfeld’s iconic silhouette branding to the luggage tag. Dimensions: H: 16cm x W: 19cm x D: 8cm. 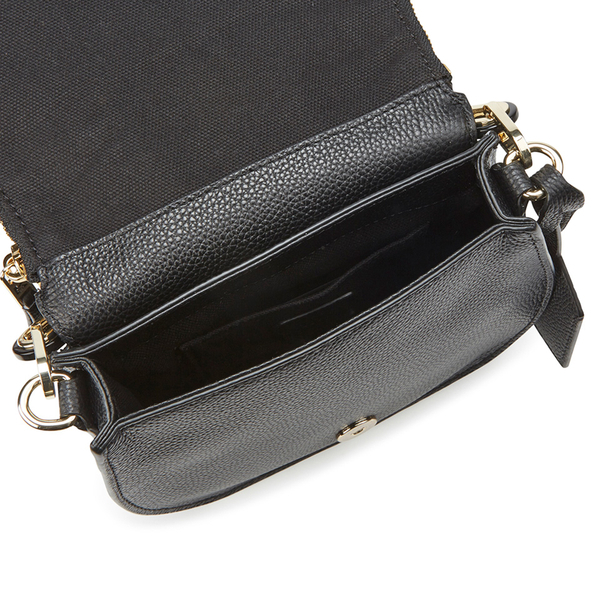 Handle Length: 26cm.